Mid-way through our walk along the southern shores of Haying Island we came to Funland. We are never known to skip a log flume or roller coaster if one is on offer, but today everything seemed quiet and shut up. 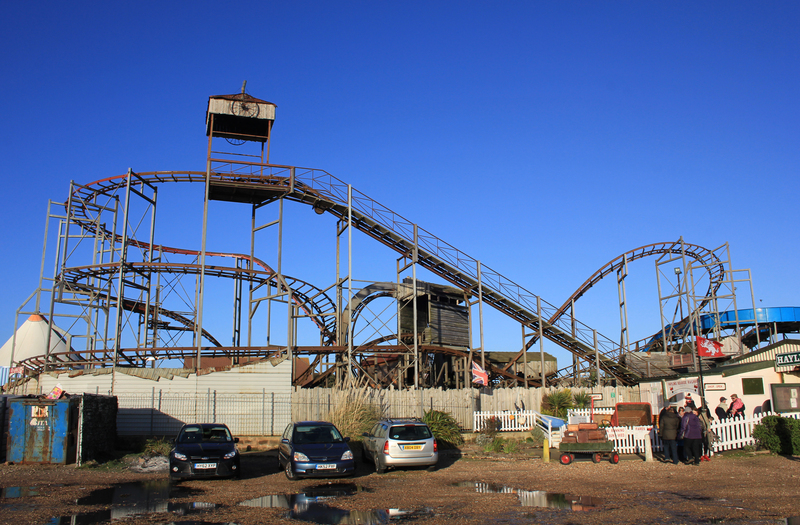 The beach-front roller coaster looked distinctly rusty and ancient. That was due to its Wild West theme, I know, but the theme complimented the park a little too much I thought. No cars raced around the track; there were no screams of terror-struck enjoyment. Despite the sun and the deep blue skies which cast a feeling of happy warmth over just about everything, Funland was not looking so fun today! It was a good thing that Funlands was not open, because we would have missed one of those “right time, right place” moments. We had been promised a bit of cloud by the end of the day and as the sun decided to settle a lone cloud decided to scout the forward lines ahead of the main assault. It was quite beautiful. The final stage of our walk took us off the beach and slightly inland. We had enjoyed the deepest, richest blue skies all day. As the sun went down and the clouds took hold, the sky was bathed with a warm and comforting yellow light. 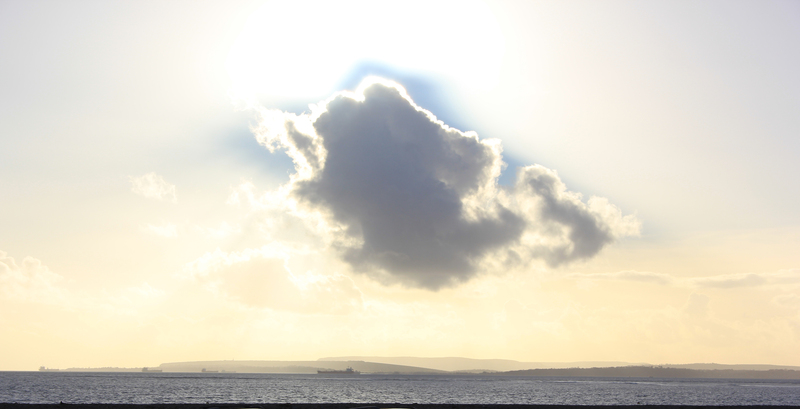 This entry was posted in Hampshire, Islands and tagged cloud, coast, Funland, Hampshire, Hayling Island, sun, walking. Bookmark the permalink. 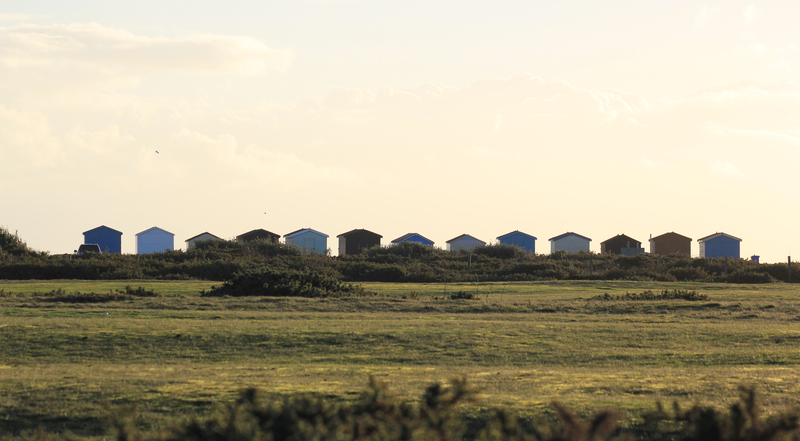 I just love these colorful rows of little beach huts! I often wonder why we don’t have them here in the USA!